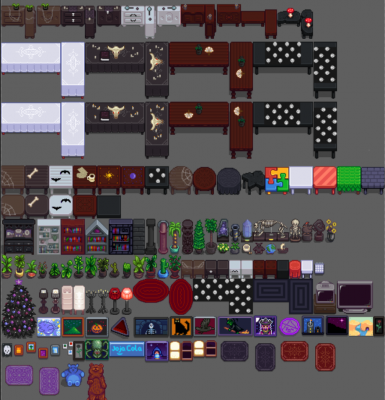 New replacements for different furniture matching a spooky/goth theme. New replacements for different furniture matching a spooky/goth theme. If you are using any other furniture replacements this will override them! 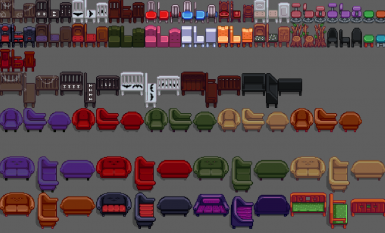 This goes into the 'Tilesets' file' for Stardew Valley don't forget to make a backup copy of your original furniture.xnb!